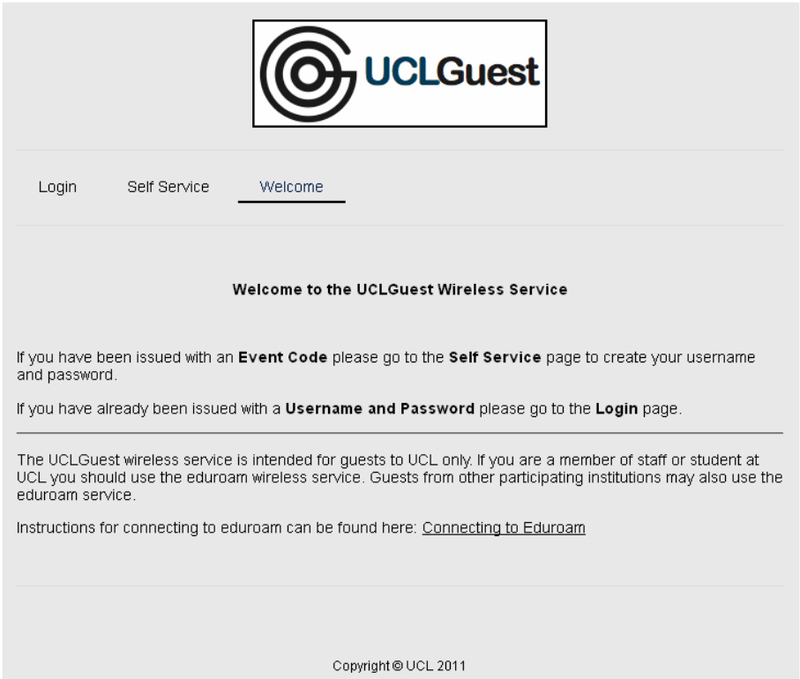 This guide explains how to connect to the UCLGuest WiFi service for conference visitors to UCL. Please Note: The programme Onavo is known to prevent access to the UCLGuest Service. Onavo compresses data over 3G by proxying everything to a remote server. Please uninstall this software before attempting to connect. 1. Connect to (join) the UCLGuest Wireless Network. 2. Open a web browser and navigate to a page outside of UCL.The browser will automatically redirect to the UCLGuest Welcome page. 3. Click on the link to the Self Service page; enter your information in the fields provided. 5. Your username and password will be displayed on the screen; these details will also be sent to your e-mail address. 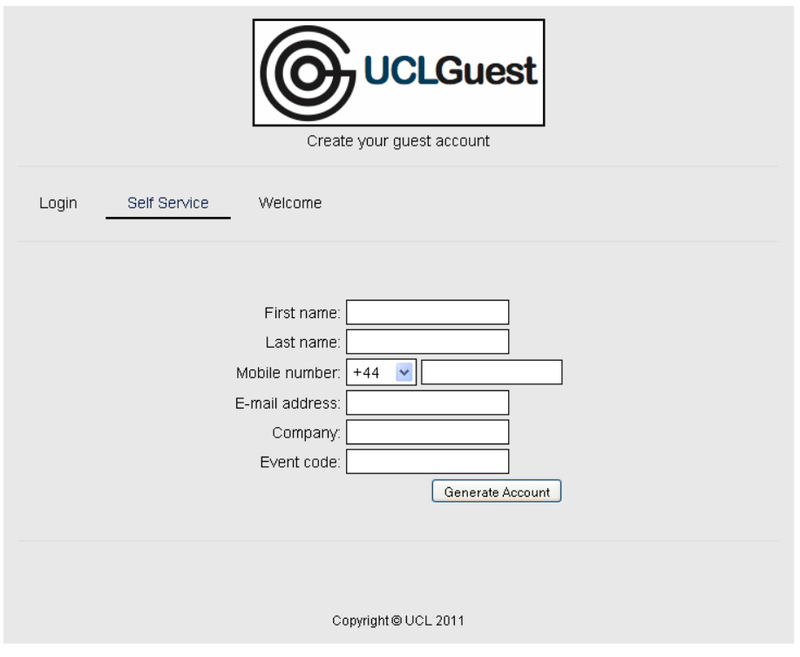 Make a note of your username and password as you will need them each time you log into UCLGuest (the system will not remember your login details). The details will be valid for 2 weeks as indicated by the expiry date; if the event code is valid for longer than 2 weeks you can generate another account once your current one has expired.